Tonight the Moon will pass in front of the Pleiades, or "Seven Sisters", a cluster of several stars in the constellation Taurus clearly visible to the naked eye. Although not an exceedingly rare event, it is somewhat out of ordinary, and you might find it very pretty. 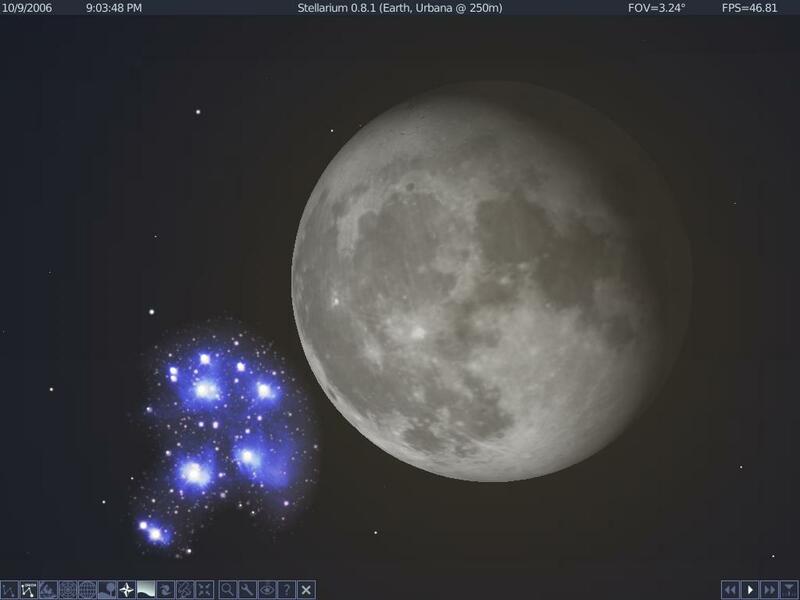 East Coast viewers, the Moon will be near the Pleiades when it rises (which will be around 8:00pm local time, shortly after sunset), and will start to pass in front of them around 10:00pm. It will almost completely cover them over the course of the hour, from 10:00pm to 11:00pm, and spend the rest of the night uncovering them and hanging out nearby. West Coast viewers, the Moon will already be in front of the Pleiades when it rises (around 8:00pm local time), but if you duck your head out around 10:00pm it should be starting to uncover them, and it will spend much of the night doing so. If you live in the Midwest, the happenings will be somewhere in between these two extremes. Basically, if you live in the Americas and you look outside at the Moon tomorrow night, you're guaranteed to see it either close to, covering, or uncovering, the Pleiades. Unless it's cloudy... then you're guaranteed to see nothing. The forecast for me here in Champaign-Urbana is mostly cloudy. :( So go look! I'll try to live vicariously through your experience.